What’s not to like about an avalanche game that has a Gemstone theme and amazing 3D graphics and animations? In fact, if that appeals to you, you’ll be even more happy to hear that this new video slot by Microgaming, also offers a dynamic game grid that could reward you with as much as 9 extra wilds on the reels simultaneously. Crystal Rift video slot sure is a well-designed game and since it’s available in all the casinos that offer Microgaming slots. There’s a good chance you’ll stumble on it and may even want to give it a spin. But if you’re looking to bring your gameplay to the next level. Don’t miss the information right below. In fact, we’ll briefly discuss all the different game grids and which one can reward you the most. Bonuses & features: Avalanche, extra Wilds, and dynamic game grid. Highest-paying symbol: 5 Wild Cube symbols reward you with 50x your stake. As for all avalanche games, in Crystal Rift too you’ll create a cascade of symbols after landing a winning combination. What’s more is that as you accumulate the consecutive wins, you’ll also notice hexagonal patterns on the game grid light up. What are these hexagonal on the game background? Well, it’s simple, they identify the game grid you play on. In fact, in Crystal Rift, you’ll have access to 4 different types of Wild grid. And each grid has 5 different levels that are selected at random. To sum up, there’s the basic grid, the super grid, the mega grid, and the insane grid. And of course, the stronger the grid is, the more winning potentials it offers. So, right after pressing the spin button, you’ll notice that between 2 to 9 hexagonal shapes will appear in the background of the game. Plus, 2 sections of the hexagonal symbols will light up as you win. After 3 consecutive wins, the grid you’re playing with will be revealed, and each hexagonal will transform into wild symbols. All and all, Crystal Rift is a clean and easy game to understand even if it has brand new game mechanics. What’s more is that it’s also a game that will get your adrenaline pumping as the hexagonal symbols light up. In fact, this slot has a fantastic way to build up anticipation. Plus, it frequently delivers small and large wins since it’s a medium volatility game. 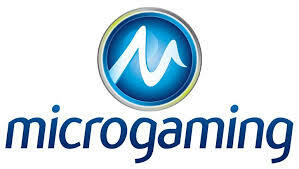 The only downside to it is that Microgaming has not revealed the max win to the grand public. But isn’t it kind of good too since this slot has more chances to surprise you? Why not trying this November release today? And before leaving, visit our casino bonus section. Our team also has a few pleasant surprises for you there! Good luck and have fun!